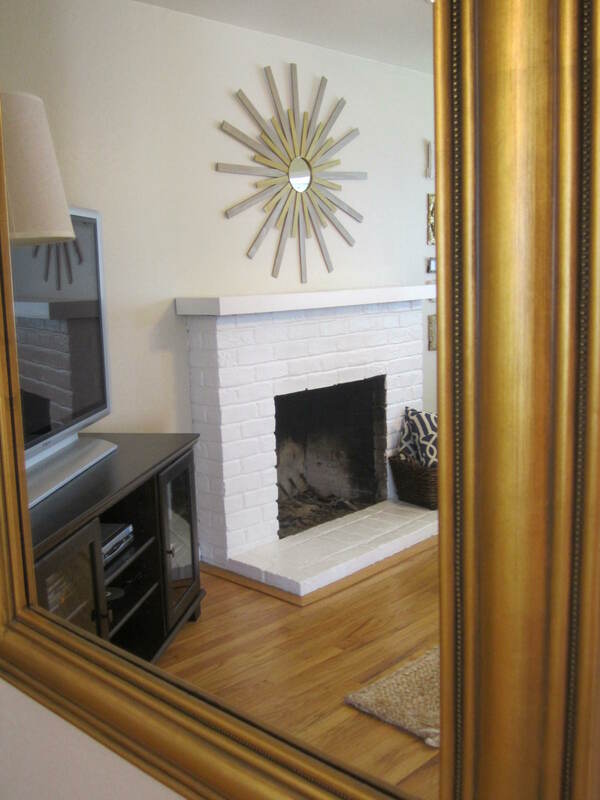 For the longest time I have wanted a huge sunburst mirror to hang over our fireplace mantel. 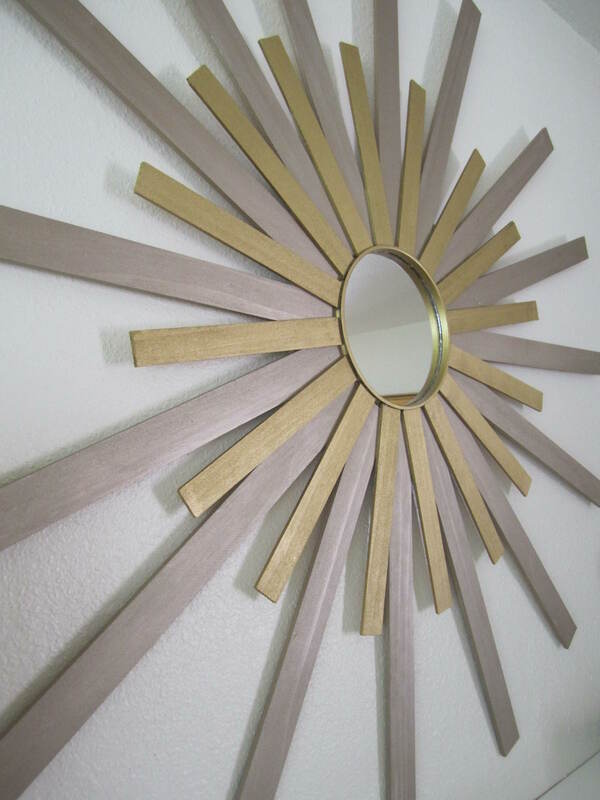 But with all of our money going toward our skyrocketing wedding budget last year, I knew there was no chance of me purchasing one of these stunning mirrors. What can I say.. I went a little overboard with the wedding. 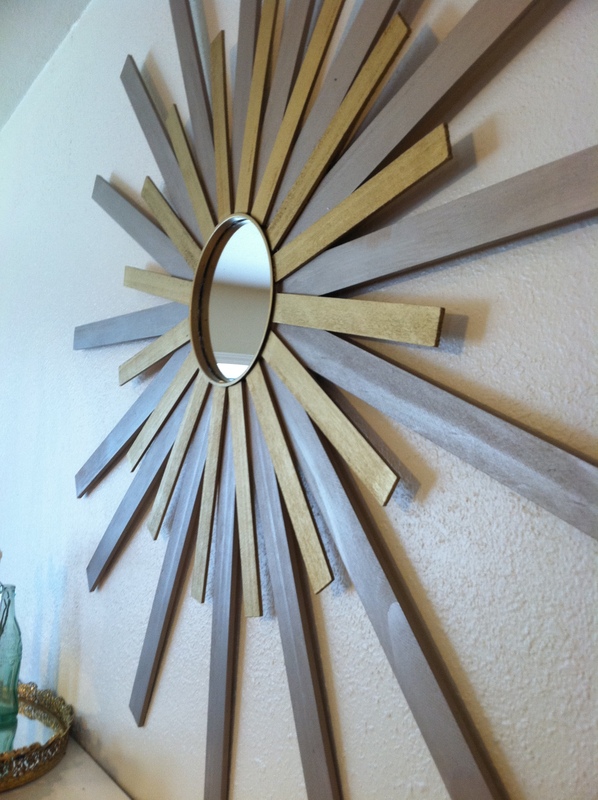 A couple of months ago I came across this amazing and super EASY DIY over on Centsational Girl. So finally last Friday night I went to Home Depot and Michaels to pick up all my materials. The guy at the paint counter literally thought I was insane wanting that many paint sticks! I told him it was for a do-it-yourself mirror I was making.. and he thought I was even more crazy. I followed Centsational Girl’s tutorial here. 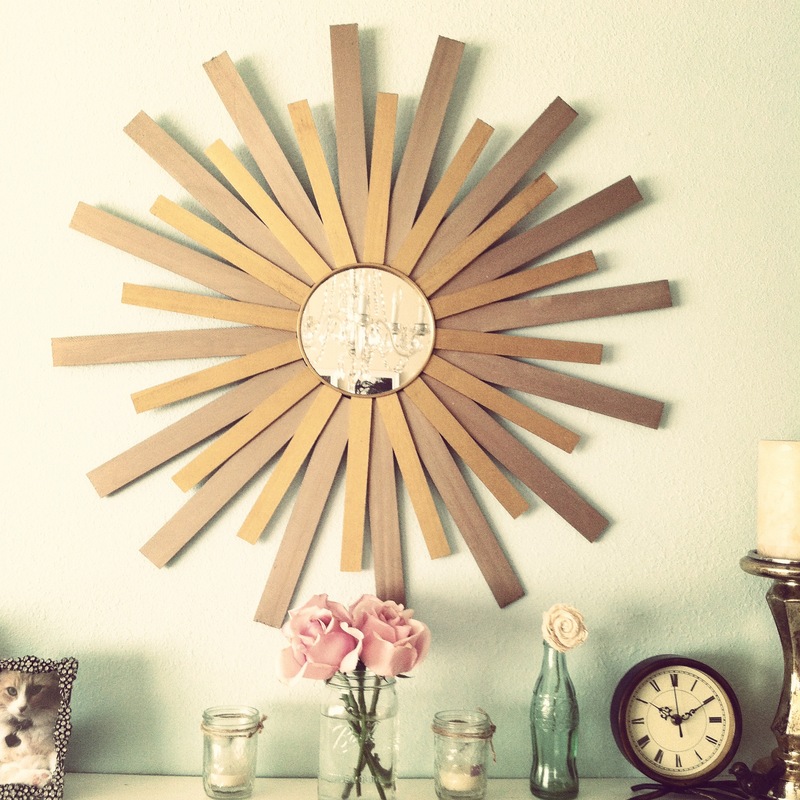 I have to say I am pretty happy with my sunburst mirror and very impressed with myself! I thought I did pretty good for my first DIY home project. It makes such a statement in our living room. Plus how can you beat $18?! 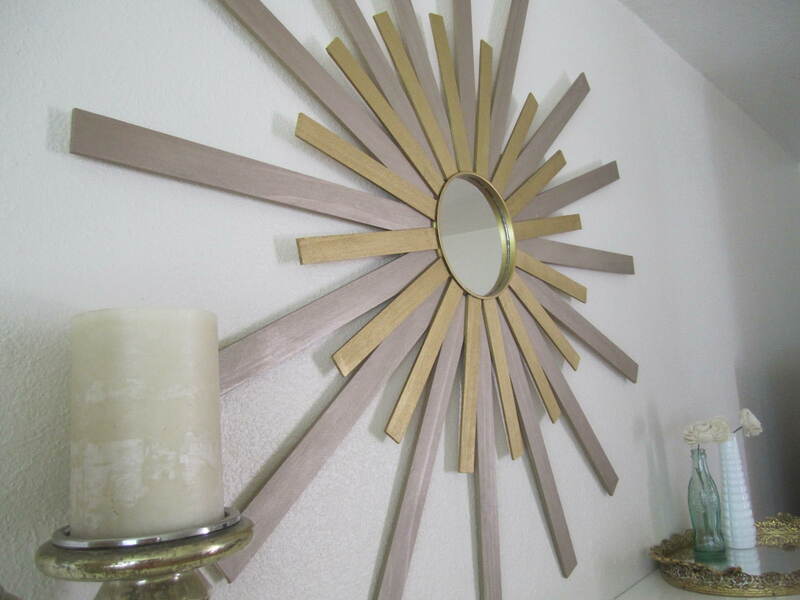 It’s a lot less than what you would spend on a store bought Sunburst. 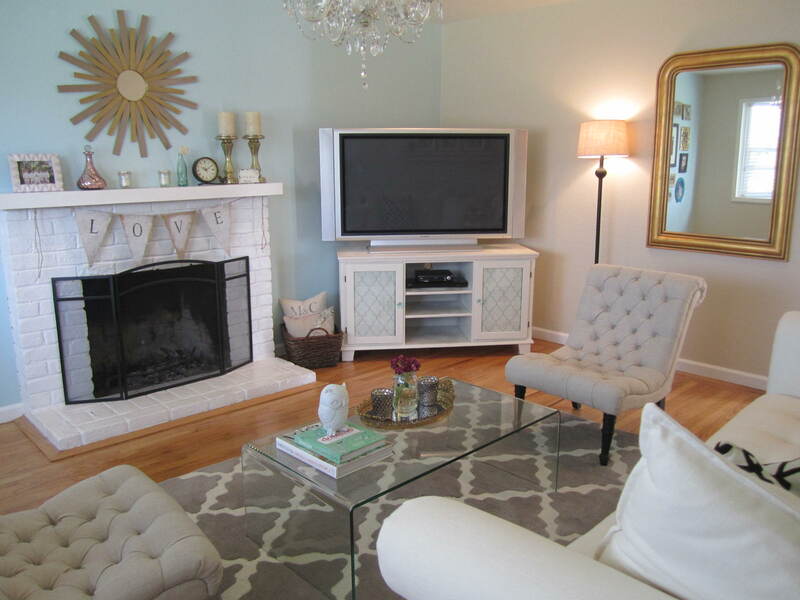 Below is our living room before we updated it eekks! I love the metallic colors! So there you have it. What do you think? You can really do any colors you like, to match with your home. Hope you try this too! Some upcoming projects I am working on include painting and re-covering our dining room chairs & a picture frame gallery wall. 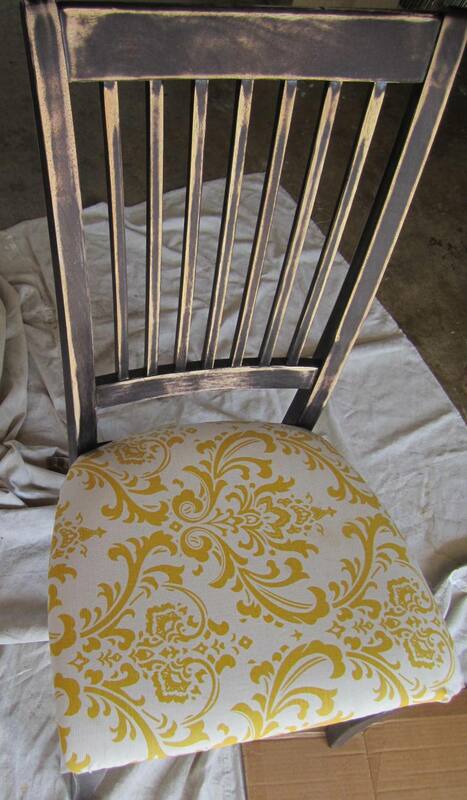 Here’s a little sneak peak of what I have been slaving over this week.. sanding and painting. Stay tuned!